I get asked frequently which are my favourite makeup brushes to use with Colourpop Cosmetics Super Shock Shadows. 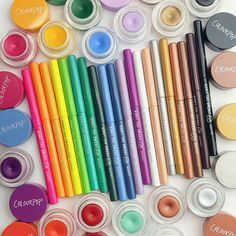 The cushiony formula, that is unique to Colourpop, works best with fingers, but a lot of people want to know which brushes they can use with them anyway. So today I’ll share with you the best eyeshadow brushes to use with Colourpop Super Shock Shadows. Every brush I use is cruelty free and synthetic/vegan. I choose not to use animal hair brushes because they can be classed as cruelty free despite animals suffering before the hair harvesting. If you do use animal hair makeup brushes, you will probably want synthetic ones to use with Colourpop Super Shock Shadows anyway. Colourpop Cosmetics have brought out three eyeshadow brushes to be used with their formula, I own all three but I will mainly be discussing their Shader Brush as that is the main brush that replaces the use of fingers. I have a large makeup brush collection, so I went through and tested most of the eyeshadow brushes to see which ones worked best. I haven’t included anywhere near the full amount of eyeshadow brushes that I own as that would take so long, instead I have included the ones the work the best and a couple that people requested I put in. You will see that the best sort of brush for the Colourpop Super Shock Shadows is a very flat concealer type brush. They are able to pick up the cream pigment the best and disperse it on the lid without skipping on the lid or clumping up. The fluffier the eyeshadow brush, the less likely it is to work with the Super Shock cushion formula. The brushes I have included in this comparison are Colourpop Cosmetics Shader Brush, Furless Purple Concealer Brush PM2, Furless Must Have Pro Extended Concealer Brush PRO4M, Morphe Elite Pointed Lip E19 (older version), Morphe Chisel Shader MB16, Furless Purple Fluffy Eyeshadow Brush PE2, Furless Must Have Pro Eyeshadow Brush PRO8E, Furless Black Beauty Eyeshadow Brush ME5, Real Techniques Base Shadow Brush, Furless Must Have Pro Precision Brush PRO2M and Morphe Elite Mine Detail Lip E39 (older version). I didn’t use any primer for my swatches as this is the only eyeshadow formula that I don’t need to use an eyeshadow primer with. You may find that it lasts a bit longer with a primer or that it creases less with one, but that hasn’t been the case for me. I used Colourpop Cosmetics Wattles Super Shock Shadow and did two swipes using each brush to show the colour pay off. It didn’t show up as clearly on camera as I would have liked, so instead I will explain how they each applied. The Colourpop Shader Brush, Furless PM2 and Furless PRO4M all applied the Super Shock Shadow very smoothly without skipping over any skin. The Furless PRO4M is longer than the other two brushes, but all are very comparable with the application. Morphe E19, Furless PRO2M and Morphe E39 are all smaller brushes that apply the Super Shock Shadow formula nicely. 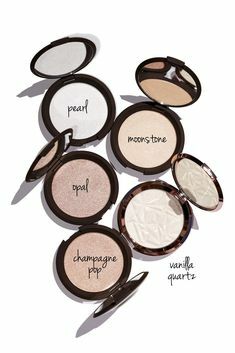 I included these as you often need a small brush to do certain parts of the eye makeup and all of these will work well for that. The Morphe MB16, Furless PE2, Furless PRO8E and Furless ME5 are all standard base eyeshadow brushes that can apply the Super Shock formula, just not as nicely as the concealer type brushes. I tested a lot of my other base eyeshadow brushes and found those 4 were the best for application. I also included the Real Techniques Base Shadow Brush as a lot of people asked whether or not Real Techniques works with the Super Shock Formula, and I have to say, it doesn’t. 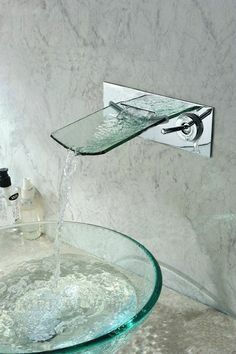 The Real Techniques bristles just aren’t dense enough to pick up enough product and spread it evenly. You could use it if you wanted a really light wash of colour on the lid, but I still think you would be better off using a light hand with one of the other standard eyeshadow brushes I mentioned. Overall, my favourite brushes to use to apply Colourpop Super Shock Shadows are: the Colourpop Shader Brush, Furless Purple Concealer Brush PM2 and Furless Must Have Pro Extended Concealer Brush PRO4M. I tend to gravitate towards using Furless PM2 as it just works the best for me but the other two work well with the cream formula too. 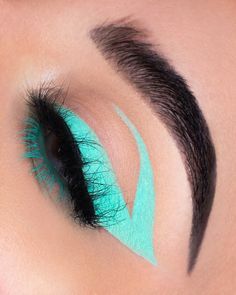 If I need to cover a smaller area of my eyelid then I use Morphe Elite Pointed Lip E19, Furless Must Have Pro Precision Brush PRO2M or Morphe Elite Mine Detail Lip E39. The Morphe E19 is slightly bigger than the other two so I choose what to use depending on what I’m doing. I have the older version of the Morphe Elite range, but the new replacements should be very similar to the ones I have. The best way to work with any of these brushes is to do a dabbing motion onto the lid. 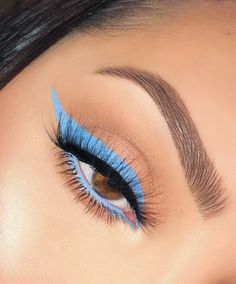 If I’m going for a simple look (which is pretty much always) then I do tend to just use my fingers as its really easy to blend the Super Shock Shadows into the crease and then pat on more pigment to the lid with just my fingertips. The best sort of brush to use in the crease with this formula tends to be a slightly denser blending brush. 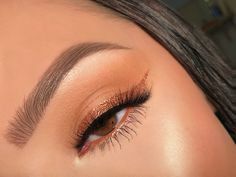 Colourpop have their own Blending Brush, but I have found Furless Black Beauty Blending Crease Brush ME3, Furless Purple Angled Eyeshadow Brush PE1 and Morphe Oval Shadow Fluff E13 to work, and little pointy brushes like the Furless Must Have Pro Blunt Blending Brush PRO3M, Morphe Bullet Crease E24 and Morphe Detail Crease E36 are good for placing the pigment in the crease where you want it before blending it out. The Super Shock Shadows have a one year expiry after they are opened, I have found they last longer than that if the lids are tightly closed after every use, but they do start to dry out and application with brushes becomes harder. 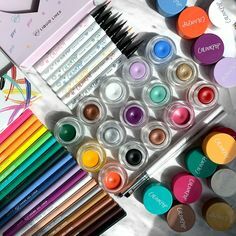 If you want a full review and swatches of my large Colourpop Super Shock Shadow collection then let me know below in the comments. I already have a review and swatches up of the Colourpop Ultra Satin Lips and the Colourpop Highlighters you can check out. If you already have lots of makeup brushes, then see if you have any in your collection that work well with the Super Shock Shadow formula. If you don’t have any that work or are new to makeup brushes, then the Colourpop makeup brushes are a good start but the Furless Purple Power Makeup Brush Set and Furless Must Have Professional Makeup Brush set are amazing quality. Both have brushes that you can use with the Super Shock Formula as well as brushes for normal pressed powder eyeshadows and brushes for your base (foundation, powder etc). I have previously reviewed the Furless Couture Base Essentials Kit and the Furless Couture Body Contour Kit and I’ll try to have reviews up of the Purple and Pro sets soon. I have an affiliate link for Furless because I love this cruelty free brand so much. If you use my affiliate link you can also use the code 15ME at checkout to get 15% off – you don’t have to use it but I do appreciate it if you do as it helps to cover all the costs of running this blog. I hope this review and comparison has helped you. I would love to hear what brushes work best for you with the Super Shock Shadow formula. If you have a flat synthetic concealer brush lying around, then I suggest you try that and see if that works well them. Don’t forget to sign up to email updates so that you know when new posts go live. I will have more Colourpop posts coming up as well the the Furless brush set reviews. See posts from other beauty bloggers at Fabulous and Fun Life’s linkup. I’ve only ever used fingers with my Colourpop products, its just so easy, but I had no idea that Colourpop had their own brushes, I love the pink handles, they are so cute! I mostly use my fingers with my colourpop eyeshadow but sometimes I use one of my Bdellium tools blending brushes at the edges.